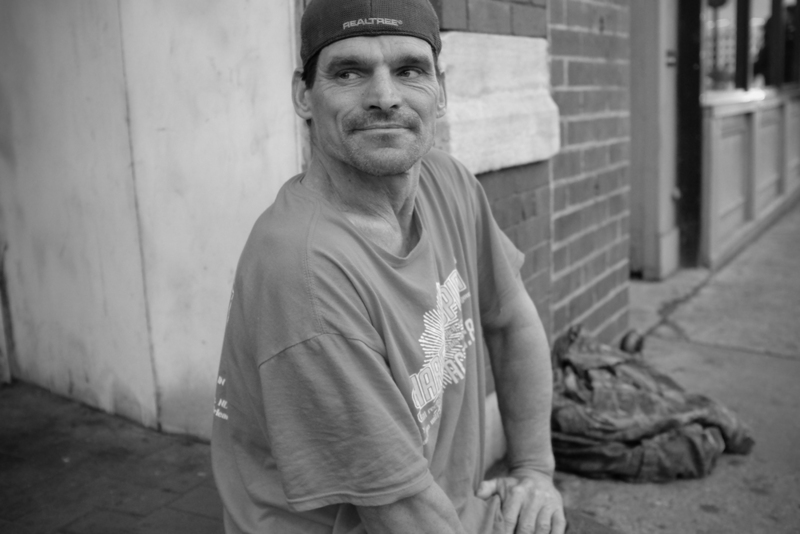 “Man, I’m not asking people for money, I just need food in my belly,” he told me while rubbing his stomach. I sat down next to him looking up at the passerby’s and could not help but to notice the need for everyone to avoid eye contact. The pedestrians were doing this with everyone – not just those who were sitting on the sidewalk anxious to eat, to drink, to pill, to snort or whatever they felt they needed to fill that empty hole in their heart. The funny thing is… if funny is even the right word, the pedestrians were on an equal mission to fill that empty hole. Some drunk, some high, others on a spending spree. I think at times that I too am trying to feel that empty hole. What bothers me is the judging that takes place day after day. I see it more and more today than in my past. Perhaps age has opened my eyes? Situations? Life? I am judged daily by others, I hear the gossip and it is not kind. I see the looks, etc. If you are reading this, I bet you hear hurtful talk about yourself at times. The question is… what do you do when you hear it? React or smile with a slight laugh? I guess what we should do is care less and less about what others say and keep living, but we are human. As for this man I photographed, the judging has likely led to a lack of help by family, friends and those who have yet to meet him. He currently lives in a tent located near the Cumberland River in Nashville within a small community of campers who also feel similar pain.